There are 4 tasks for your pupils. 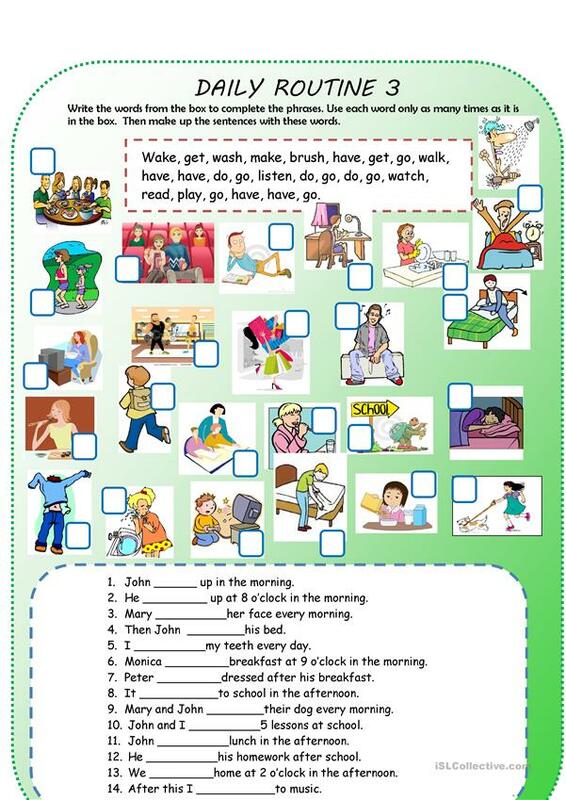 They are on checking on daily routines vocabulary, practicing present simple with these word collocations. 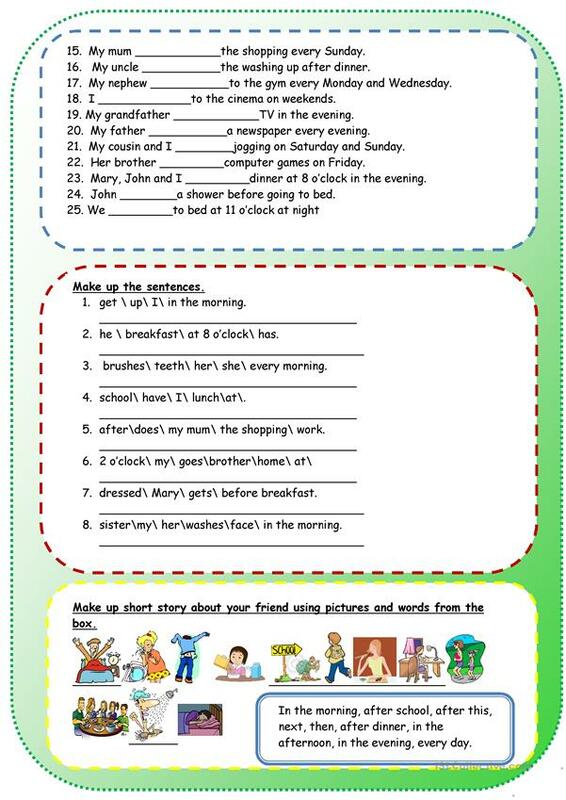 One of the task they need to make up sentences. One more is for making story about a friend, using pictures and words from the box. This downloadable worksheet is best suited for elementary school students at Beginner (pre-A1) and Elementary (A1) level. It is a useful material for teaching Present simple tense in English, and is a valuable material for developing your groups' Spelling, Speaking and Writing skills. It is focused on the topic and words of Daily routines.